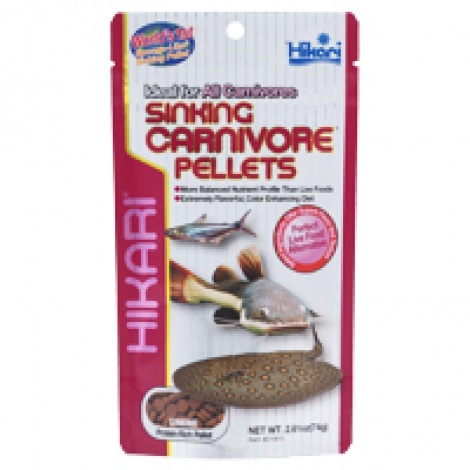 Specially developed for bottom feeding carnivorous fish offering nutrition comparable to live foods without the parasites or bacteria they contain. Absorbs water and quickly softens yet, retains its shape and will not cloud your aquarium water. Is the perfect live food alternative due to its high protein levels. 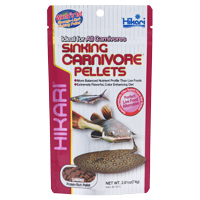 Recommended for species such as omnivorous catfish, sharks, eels, and other bottom feeding carnivorous fishes normally fed live foods.